Watered well and wished for pie. Gourd things come to those who wait. I hope you’ll be sure to visit Teacher Dance, where Linda Baie is hosting today’s Poetry Friday roundup with a new book from Rosemary Wells (yes, that Rosemary Wells!) AND a giveaway! Ordering personalized signed copies online? You can purchase personalized signed copies of Flashlight Night, (Boyds Mills Press, 2017), Don’t Ask a Dinosaur (Pow! Kids Books, 2018), and nearly ALL of the books or anthologies I’ve been part of! Kansas NEA Reading Circle Recommended Books! Did you like this post? Find something interesting elsewhere in this blog? I really won’t mind at all if you feel compelled to share it with your friends and followers! Also feel free to visit my voiceover website HERE, and you can also follow me via Twitter , Facebook, Instagram, Pinterest, and SoundCloud! This poem was first shared on Oct. 25, 2013 – about a week or so after I returned home from my very first Highlights Foundation workshop. If you have never attended one, I highly encourage you to do so; they are as inspiring as they are educational. 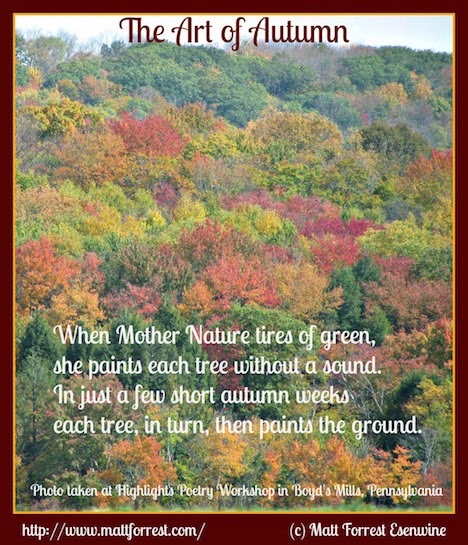 I’m re-posting this poem today not only because we are approaching fall (the first day of autumn is one week from today! ), but because I just learned this week that I will be attending my SECOND workshop next month – with Rebecca Kai Dotlich and Georgia Heard. I’m so excited to see them, my Flashlight Night editor Rebecca Davis, and so many others who will be attending! 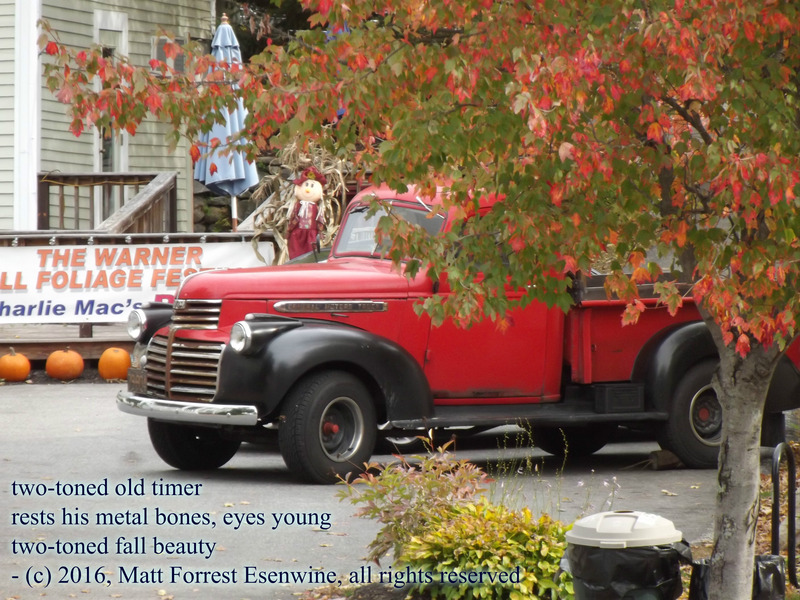 This poem was one of many inspired by my time there in Honesdale, PA. I hope you like it…. near that old stone wall? It all started with an apple. made melody with the water. And it all started with an apple. For all of today’s Poetry Friday happenings, please visit The Poem Farm, where my friend Amy Ludwig VanDerwater is hosting the roundup. 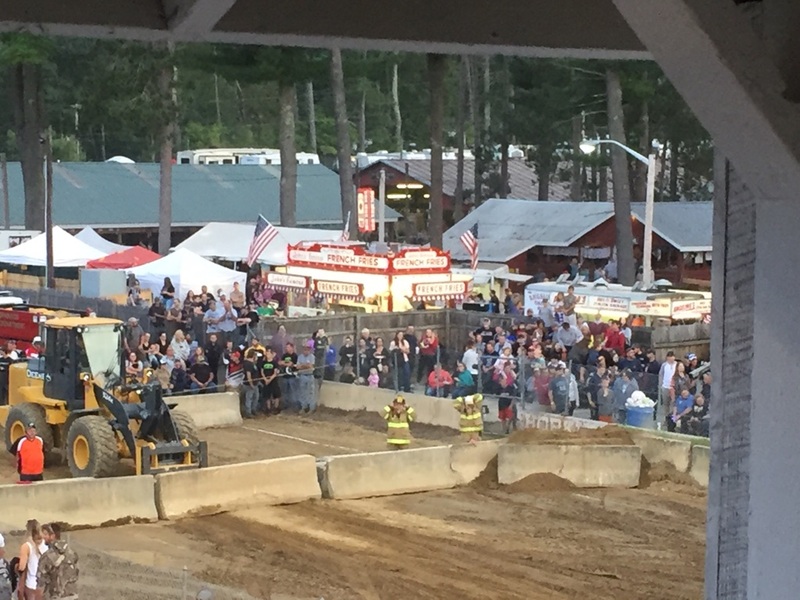 I also hope you’ll check out my review of the local state fair, where I work each Labor Day Weekend…between death-defying motorcycles and poop-emoji plush hats, it’s always a learning experience! Ordering personalized signed copies online? Oh, yes, you can! Also feel free to visit my voiceover website HERE, and you can also follow me via Twitter , Facebook, Pinterest, and SoundCloud! After sharing my poem from several years ago last week, I wasn’t planning on digging into the archives again today – but I stumbled upon this little ditty and felt it was appropriate, considering the time of year. Last night we finally had our first frost of the season – only about a month later than normal! – so I suppose it’s time to start thinking apples, pumpkin, and leaf-raking, after all. Interestingly, even though I wrote this almost exactly 3 years ago in Oct. 2014, I never shared this poem here at Triple-R. 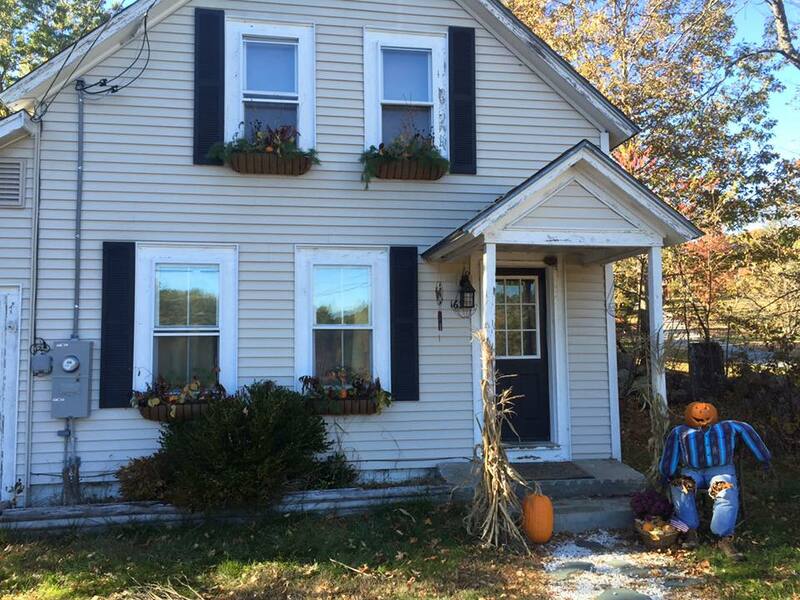 It had been written and formatted (and subsequently published) on Carol Varsalona’s blog, Beyond Literacy, as part of her “Finding Fall” gallery. So I thought it was about time it made its debut here! You may think that today is unlucky, but you’d be quite wrong; Irene Latham is celebrating Friday the 13th by hosting Poetry Friday at her blog, Live Your Poem. And I’m celebrating because a book I wrote is presently on display in a museum…and I’m not even dead yet! I would be remiss if I did not make mention of Amy Ludwig VanDerwater’s new book, Poems are Teachers (Heinemann), which just arrived in the world last Friday! The book is geared to educators, to help them not only teach poetry, but to understand all the things that poetry can teach those who read it: language, perspective, rhythm, etc. For example, my contribution, “Soccer Sides,” uses two halves of a poem to show how a writer can compare and contrast. 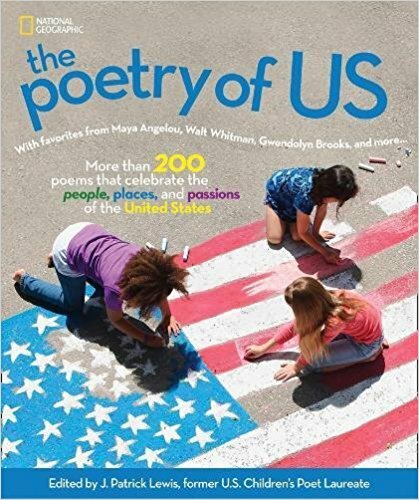 I was honored that Amy asked me to include something for the book and am proud to be part of a collection that includes writers like Kwame Alexander, Jane Yolen, David L. Harrison, Jack Prelutsky, Charles Ghigna, and many, MANY others – including lots of folks from the Poetry Friday community. Imagine you’ve just published your first full-length picture book, and it has received all kinds of national attention and praise. Imagine seeing the original artwork along with your words hanging on a museum wall (see above!). Imagine how exciting and humbling and thrilling that would be. Now…imagine that book being a potential award-winner! The annual CYBILS Awards are now accepting nominations for a variety of children’s lit genres like YA, graphic novels, poetry, and picture books – and what do you know – Flashlight Night is one of the many, many books nominated in the Picture Book Category! Thank you so much to Linda Baie for nominating our little book, and many thanks to everyone who has purchased a copy – I can’t tell you how much I appreciate it. I’ll continue updating this as dates are added…and thank you again for your support! Featured review in Sept. 26, 2017 Shelf Awareness! Amazon “Best Books of the Month,” Sept. 2017! Once again, I need to thank children’s author/poet Laura Purdie Salas for proving the inspiration I needed for a Poetry Friday post! 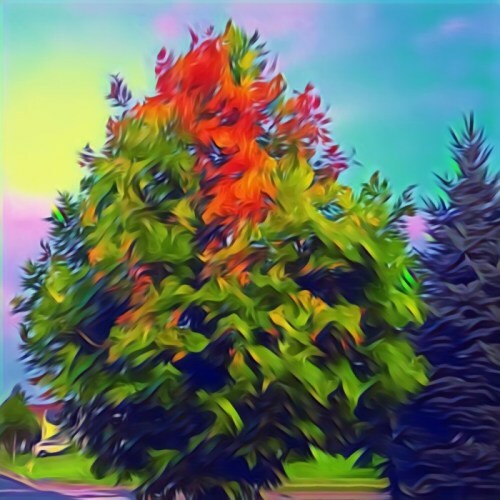 At Laura’s blog, she regularly shares a poetry prompt feature she calls “15 Words or Less,” in which she posts a picture and solicits short poems from readers, using 15 words or less. With all the hub-bub surrounding Flashlight Night lately, I hadn’t had the time to think about what I was going to post today…but then I came upon Laura’s latest post, and BOOM: I had two haiku written for her blog and for mine! Inspiration is not the only thing you’ll find at Laura’s blog; today, you’ll also find the Poetry Friday roundup, along with her review of Amy Ludwig VanDerwater’s new poetry collection, Read! Read! Read! (Boyds Mills Press), which I featured here last week! Wow, is it really almost Saturday? I’m looking forward being part of the local Barnes & Noble Author Event tomorrow, to benefit the Manchester (NH) Library! In fact, I’m visiting a number of bookstores in the New Hampshire area, and while I have the list nailed down, some times and venues are still being worked on. As dates are added, I’ll be sure to let you know when and where I’ll be! 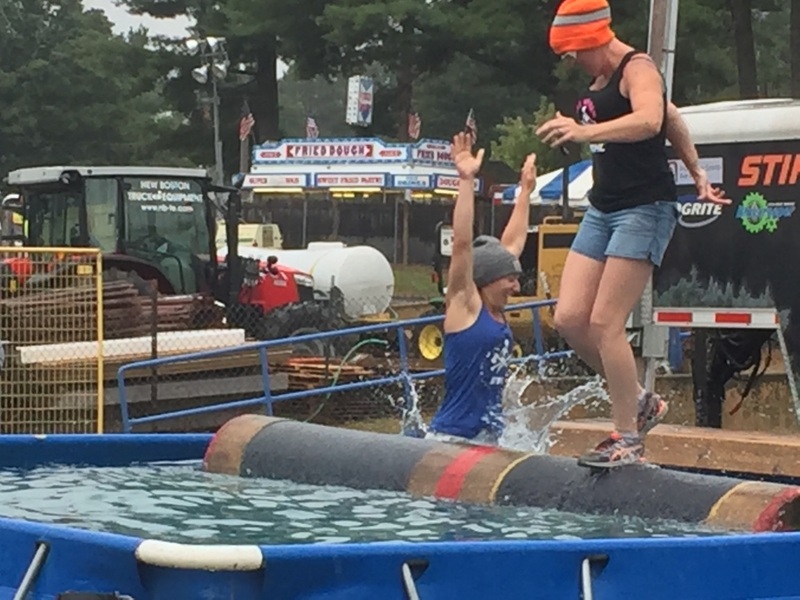 Ah, yes…fair season is upon us! 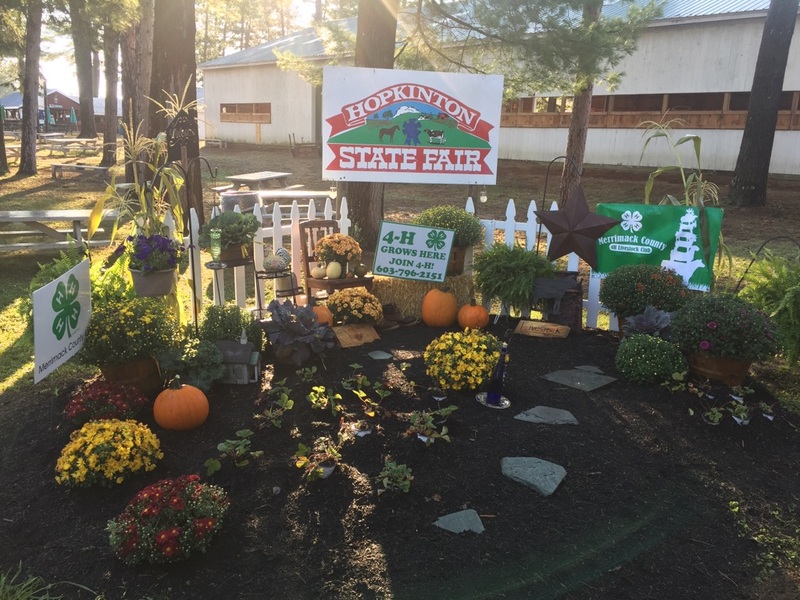 Last weekend, I spent four days at the Hopkinton State Fair – the largest fair in New Hampshire – wandering the grounds reminding people when the cattle pulls start, what stage the hypnotist was on, and where the bathrooms were. I’m the announcer for the fair, so when you hear a voice on the PA system echoing through the trees, that’s me. It’s a very unique sort of job, and one that’s a heck of a lot of fun, but it does require a lot work; 55 hours in 4 days can wear one down, and I put in less hours than many of the other employees! But I’m there every year, and every year I learn something new. Which is why I’ve been putting this annual post together for 7 years now…to shed some light on my lessons learned and observations made. In the past, I’ve become educated on the problems with skimpy clothing, I’ve discovered the most despised candies in the universe, and, like you, have enjoyed more than my fair share of Australian Battered Savs. Some people just do not know how to park. Invariably, every year we get fair goers who don’t want to follow the parking pattern or the fair employees who are showing people where to park. These folks inevitably have to move their vehicles one they’re in the gate and as far away from their vehicle as possible. Once such fellow parked his big SUV in a spot that wasn’t a parking space, and ended up blocking the fire department entrance. I spent at least 2 hours paging him over the PA system to move it, and when he finally did, he parked it right beside an agricultural trailer…which he ended up blocking. Justin and Ryan from Recycled Percussion should not quit their day jobs. The band, which formed in a small town 30 minutes from here and is now a top-selling Las Vegas act, played at our fair for the very first time on Labor Day. They’re good guys, and had cancelled many of their shows in order to spend time in Texas helping with relief efforts, but they made the trek up here to put on this one show, and it was terrific. 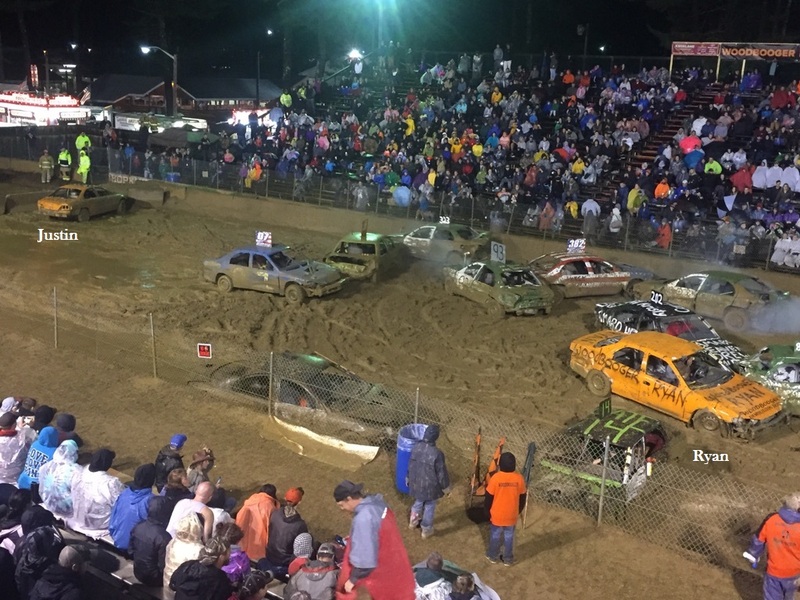 The night before the show, however, Justin and Ryan were given the opportunity to drive in the annual demolition derby…and were both knocked out within 30 seconds! 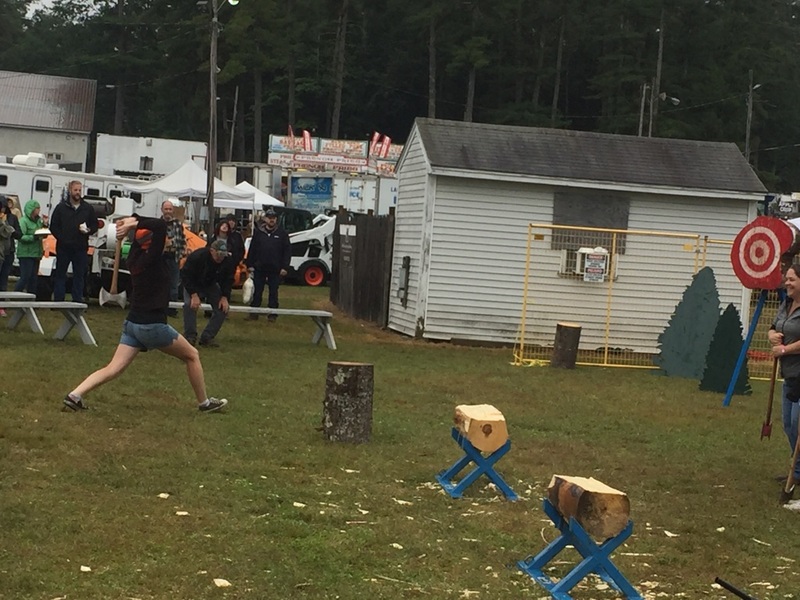 Timbersports will probably never show up in the Olympics. 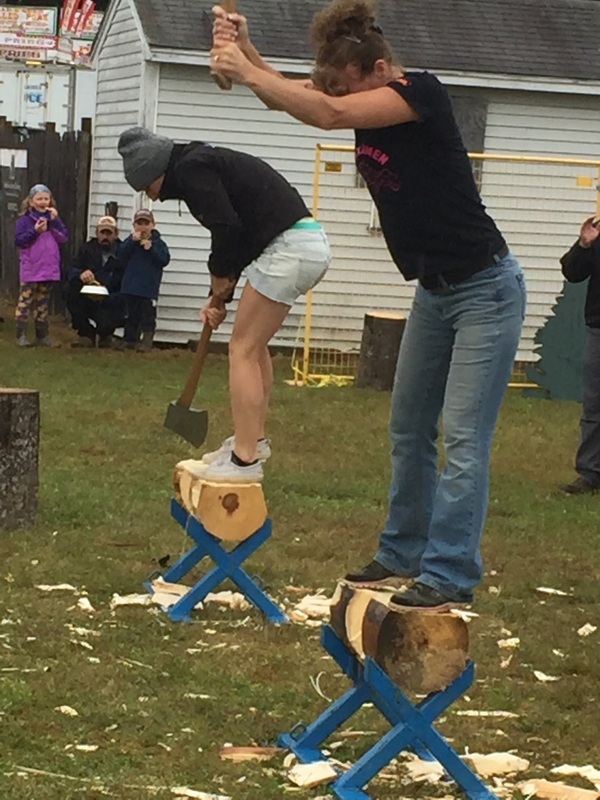 Everyone was excited that the Axe Women Loggers of Maine were returning for another year. 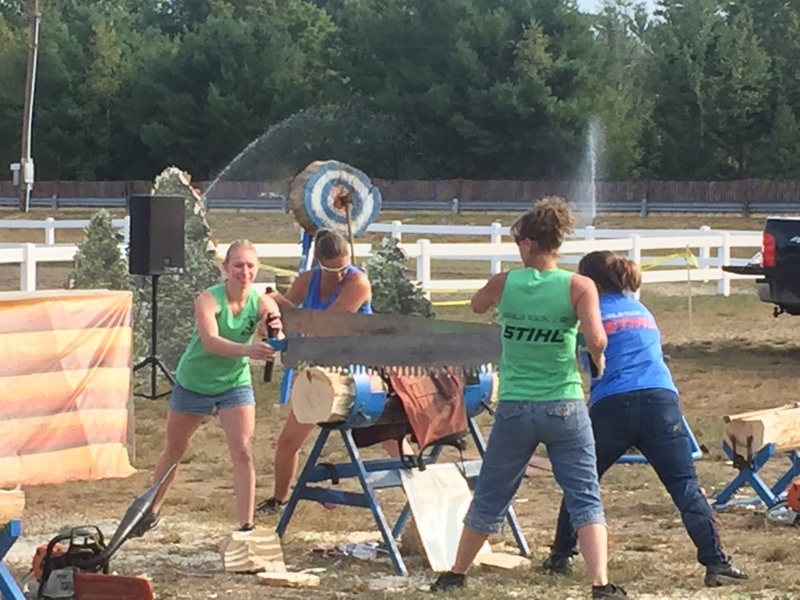 Individuals in the group hold multiple National & International Lumber Jill and Timbersports titles and their shows include demonstrations of axe throwing, cross-cut sawing, standing block chopping, and log rolling…none of which will probably ever end up as an Olympic event. Their spokesperson explained that, in the Olympics, equipment is standardized so that every athlete has a fair opportunity to showcase his/her abilities. 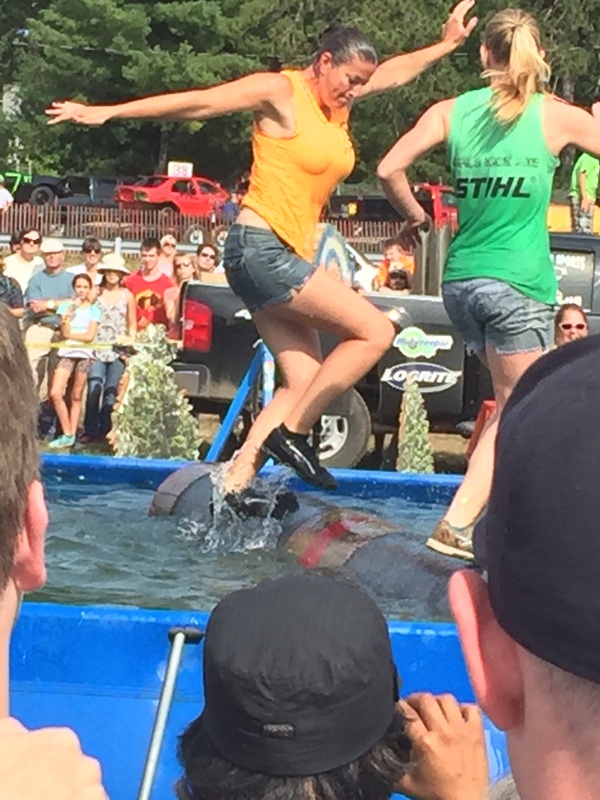 In timbersports, one doesn’t have that luxury; if one person’s log happens to have an internal knot, it could not only dull the blade – or even break it – it completely shuts down that athlete. So “luck,” like it or not, can play a huge role in a competitor’s performance, which is a no-go when it comes to the Olympics. 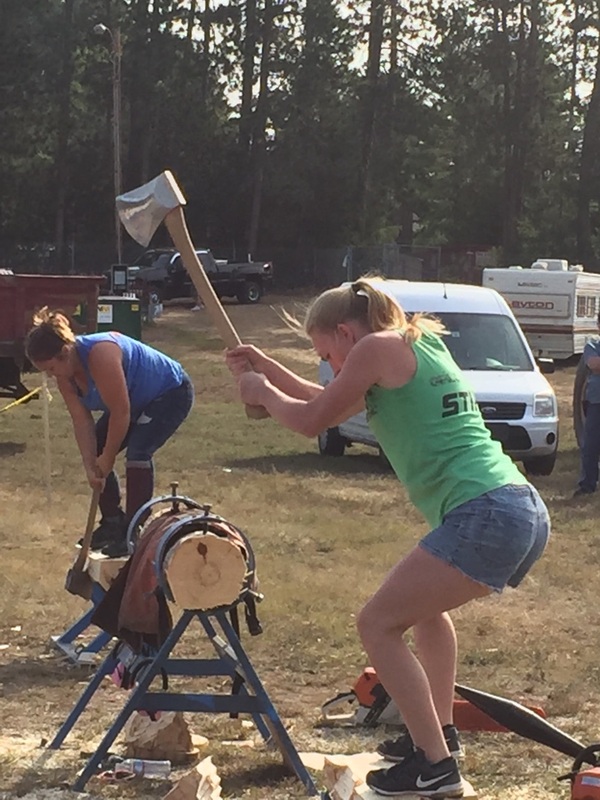 Speaking of the Axe Women…they wear chainmail socks. You know chainmail – those tiny links of metal King Arthur’s knights wore to protect themselves under their suits of armor? 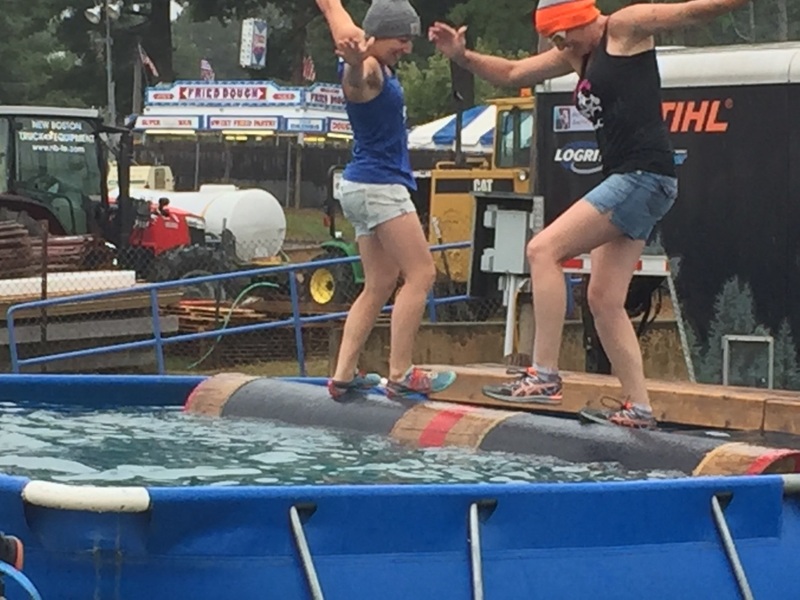 Well, professional timbersports athletes wear chainmail socks to protect their feet during competitive chopping events, like the one pictured. These ax blades are made of a special metal that is so sharp, one really can shave one’s arms with it – so if it happens to slip and smash into your boot, you’ll still be able to walk away with your toes intact. You might be screaming in agony, but your toes will thank you. Under-the-counter cheese beats over-the-counter cheese. I didn’t know “under-the-counter” cheese was even a thing, and I’ve been going to fairs my entire life! 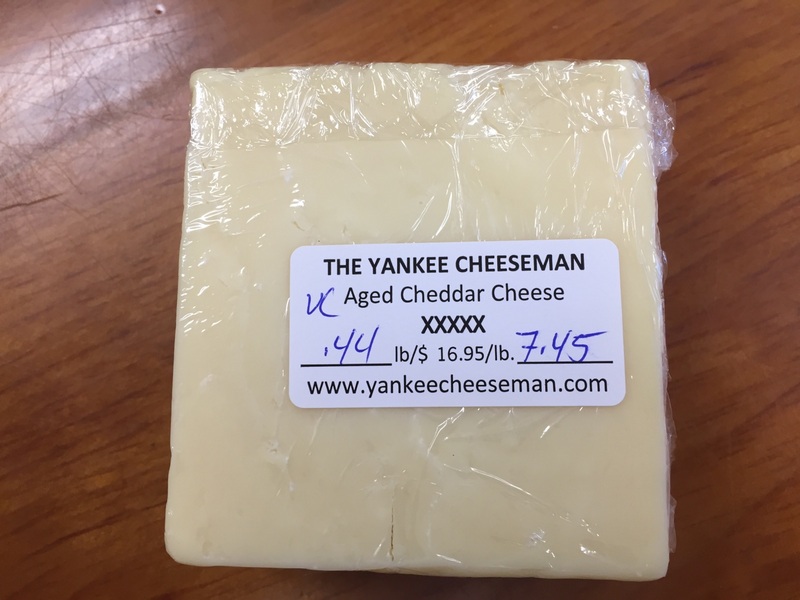 Sold by a family-run establishment known as the Yankee Cheeseman, this particular cheese is an extra-sharp cheddar that’s even sharper than their sharpest, XXXXX sharp cheddar. Aged TEN YEARS, this cheddar is so sharp, when you bite into it, it bites you back. SO. GOOD. The reason it’s called “under-the-counter cheese” is because it’s so sharp, and the texture is often a bit uneven, that many folks who are unfamiliar with it think there’s something wrong with it – so the vendors don’t even put it out on display or offer free samples. You can only buy it if you ask for it…and at $17/pound, it’s worth every penny. I love playing the national anthem from the grandstand tower. It’s a tradition here the fair that we play the Star-Spangled Banner everyday at noon. It was only until this year that I realized that when I stand to pay respect, remove my hat, and put my hand over my heart…I’m also saluting fries. And that just makes me happy. False advertising can show up anywhere. I spent a good 3 hours inside this place and couldn’t give away my beads to anyone. By the way, I also learned that a merry-go-round may feature various types of animals in addition to horses. but a carousel can only have horses. Bet you didn’t know that, didja?? So those are this year’s words of wisdom! I’m already looking forward to 2018 – and also looking forward to enjoying at least one or two fairs with the family. But I’ll make sure I park where I’m supposed to. 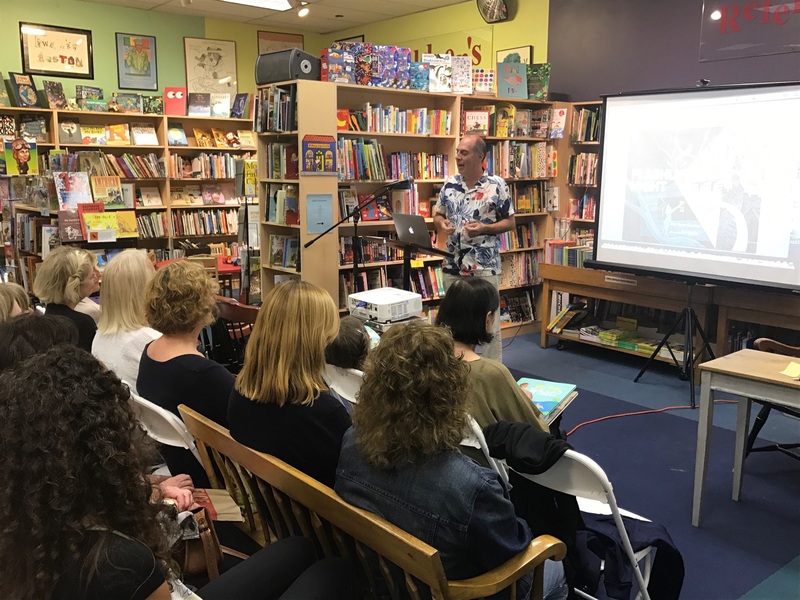 By the way, thank you, thank you, thank you to everyone who showed up for Flashlight Night‘s national book launch at Porter Square Books in Cambridge, MA last Thursday and the local release party at MainStreet BookEnds in Warner, NH this past Sunday! In Warner, NH! Good crowds both days. Flashlight Night (Boyd’s Mills Press) hits bookshelves Sept. 19, 2017! Pre-orders are available now through Barnes & Noble, Amazon, or Books-a-Million, or by clicking the image of the cover to the right. Of course, if you prefer, you can always wait til Sept. 19 and purchase it at your favorite local independent bookstore. This post was originally published on Nov. 20, 2013, but between food prep, writing, voiceover work, and chasing after a 3-year-old, my time is extremely limited this week! So I thought it might be appropriate to dust this off and re-post it for any of my followers who hadn’t caught it the first time around. I hope you enjoy your week, whether or not you’re celebrating Thanksgiving here in the U.S., and be grateful…that you have the capacity to be thankful! 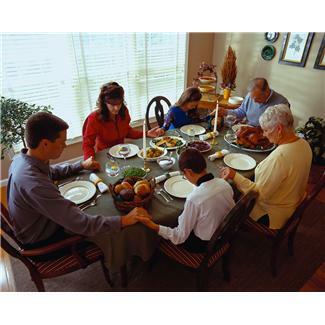 Thanksgiving Day in the U.S. will be here in two days, and everywhere you turn, people are talking, writing, and blogging about all the things they’re thankful for. I, for one, am growing weary of it. Now, please don’t get me wrong; it’s good to be grateful. Indeed, we should be thankful – and display that thankfulness – every day of our lives. We should reflect upon our blessings on a regular basis and never hesitate to show our appreciation for what we have. My problem is not so much with the thankfulness; it’s that we’re missing an important reason to be thankful. Again, please don’t misunderstand me; I’m glad people are thankful for their blessings. But there are certain blessings that show up on nearly everyone’s lists – our faith(s), our families and friends, our lives, our pets, our homes, our talents. Some people may be thankful their loved ones made it home safely from being abroad; others may be grateful that they received a year-end bonus, or even have a job at all. Even the poor and destitute among us may be thankful for things like the warmth of the sun or the kindness of a stranger. I can say honestly that I am truly, truly, TRULY thankful for all these things…but you probably could have guessed that, even if you had never met me or had never even heard of me or this blog. These are the blessings that most of humanity celebrates – and the acknowledgement that we should be grateful for these things is rooted in the love, compassion, and empathy that separates our species from the rest of the animal kingdom. We recognize the importance of both gratitude and thankfulness. Gratitude and thankfulness are not necessarily interchangeable. I’m no lexicographer or linguist, but it has always been my understanding that these words had different meanings. To be thankful means you’re appreciative that something that you wanted came about; to be grateful indicates you are appreciative towards someone or something. The reason it’s important to know the difference is because gratitude is directional; thankfulness is not. Feed a hungry animal and it may be thankful it received food, but it might not be grateful toward you for feeding it. I know pet owners will disagree with that – having two dogs and two cats of my own, I’ll admit that some animals probably are grateful to the person taking care of them – but how many of these animals understand what it means to be grateful or thankful? And therein lies the rationale for my previous statement that our recognition of the importance of both gratitude and thankfulness is one of the important qualities that elevates us above the rest of the animal kingdom. As I ponder this, I come to the conclusion that the human condition of feeling gratitude, thankfulness, and appreciation is itself a blessing. Yes, I’m thankful for all those things we talked about earlier. I’m thankful for my family, our friends, and our pets. I’m thankful I live in a country that promotes freedom of speech, religion, and personal excellence. I’m grateful to God and Jesus for their love and sacrifices; I’m grateful to my wife and family for supporting me as a self-employed stay-at-home dad; I’m grateful to Al Gore for creating the internet. But I don’t want to overlook this very important aspect of our humanity; that is, the recognition of the importance of gratitude and thankfulness. Yes, that is basically what I’m saying. Chuckle if you’d like. However, when you actually think about what it means to be thankful for having the comprehension of what gratitude, appreciation, or even indebtedness mean…I hope you will understand why I believe it is so important. We humans are not simply grateful, or thankful. 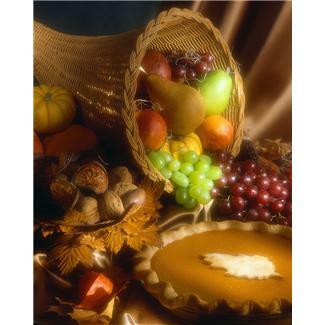 We comprehend – and celebrate – the importance of being grateful or thankful. So this Thanksgiving Day, while we’re giving thanks for all we have, think about why you are thankful. Think about why you are grateful. And give thanks that you are. What happens when you are sifting through computer files of photos from last fall, and stumble on one that makes you think, “Hey, this deserves a poem!” You write the poem, then and there! for its rugged, manly size. 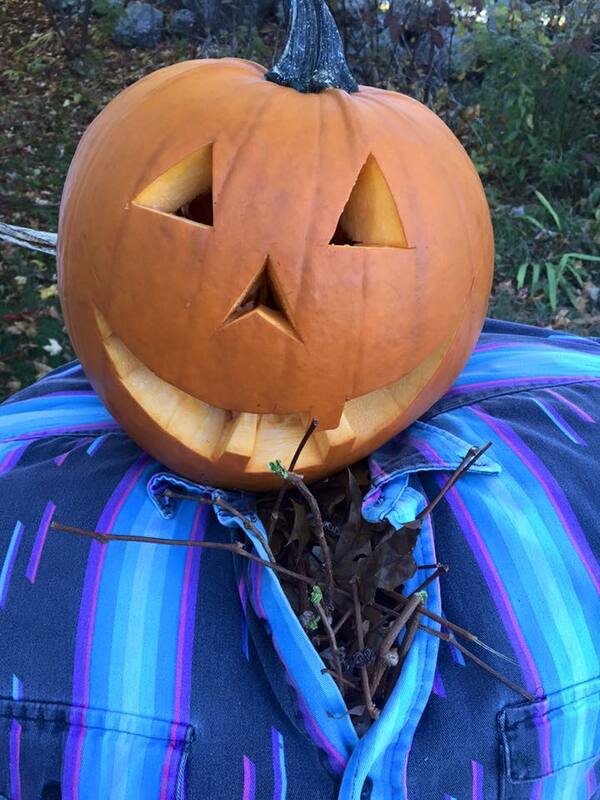 This was the scarecrow I put together for the front of our house last October – and yes, I deliberately gave him chest hair. He seemed to like it. Every year I try to do something different – one year he was a farmer, one year he was a politician – and I’m not sure what I’m doing this year, but I have some ideas! If you’d like to enjoy more poetry (and much BETTER poetry, I might add), then please visit Catherine at Reading to the Core for today’s Poetry Friday Roundup, where she’s featuring Jane Yolen and Rebecca Kai Dotlich’s brand-new Grumbles From the Town: Mother-Goose Voices With a Twist (WordSong, 2016)! I’ve had this photo sitting in my computer files for four years (this was taken in early Oct. 2012), so I’m glad I finally put it to use! 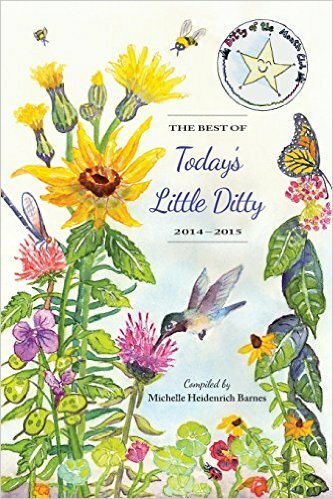 For more poetry, be sure to visit Today’s Little Ditty, where Michelle H. Barnes is hosting Poetry Friday with her own contribution to a poetic challenge from the inimitable Jane Yolen! Every Labor Day Weekend, I spend Friday through Monday working at the local state fair as the PA announcer, a position that requires not just a lot of talking, but a lot of walking and a whole lot of preparation. It’s one of the most fun jobs I’ve had in my life, and I look forward to it every year. One minute I’m heading over to one of the small stage areas to double-check times or check out an act I hadn’t seen before; the next, I’m inside the administration building chowing down on a loaded baked potato piled high with every ingredient known to mankind. As has been tradition here at Triple R, I always share some of the things I’ve learned from each fair, because it’s not just an enjoyable work experience – it’s a learning experience, to boot. 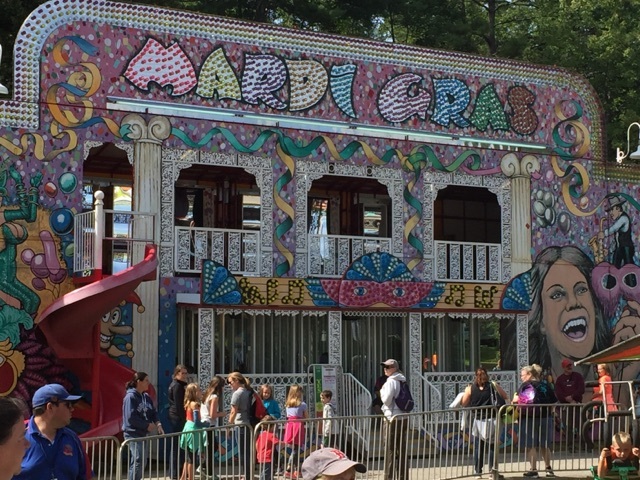 In the past, I’ve learned the most despised candies in the universe; why environmentalists hate truck pulls; and even the best time to “smell” the fair. So what nuggets of wisdom did I glean this year? The threat of a hurricane drives up Friday attendance. There was a lot of talk about whether or not Hermine would make it to the New Hampshire coast, and when. We were anticipating getting hit Sunday and Monday, the latter half of the fair, which is why I think our Friday ticket numbers were off the charts. 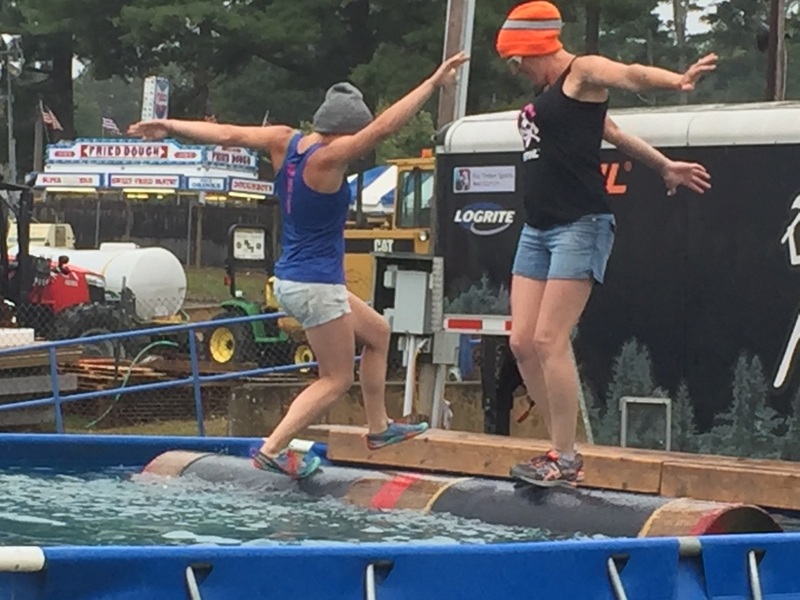 As it turned out, Hermine never even made it, and we had a stupendous weekend all four days! Sand used for sand sculptures is not normal beach sand. 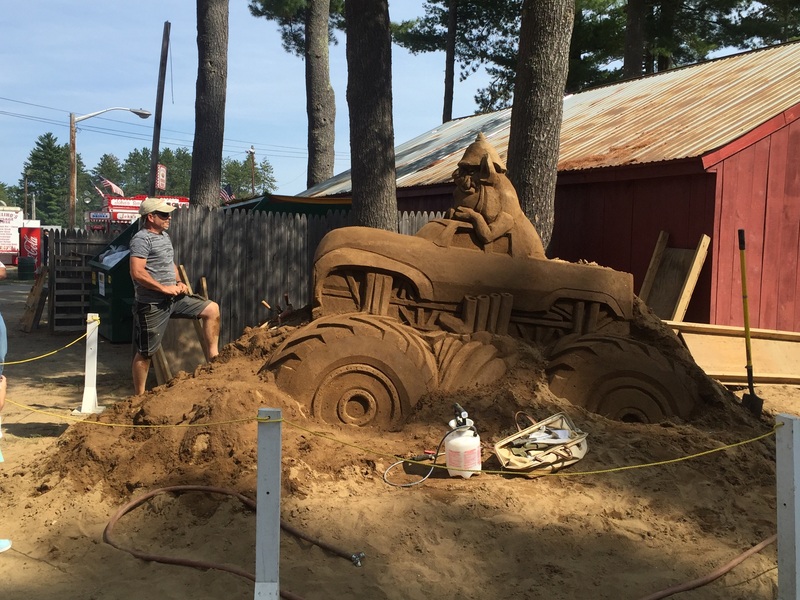 As Sandtastic Sand Sculpture Company’s sculptor (pictured) explained to me, the sand they use is comprised of faceted grains, which help the sand to wedge together and stick to itself. Conversely, beach sand is worn smooth from being tossed in the water and therefore is much more difficult to work with. carvings are masterful, when he told me that some of his smaller chainsaws are custom-designed, industrial-grade. His larger saws are standard chainsaws, but the smaller ones, like the one pictured, have an angled bar and run at twice the RPMs of a normal chainsaw. 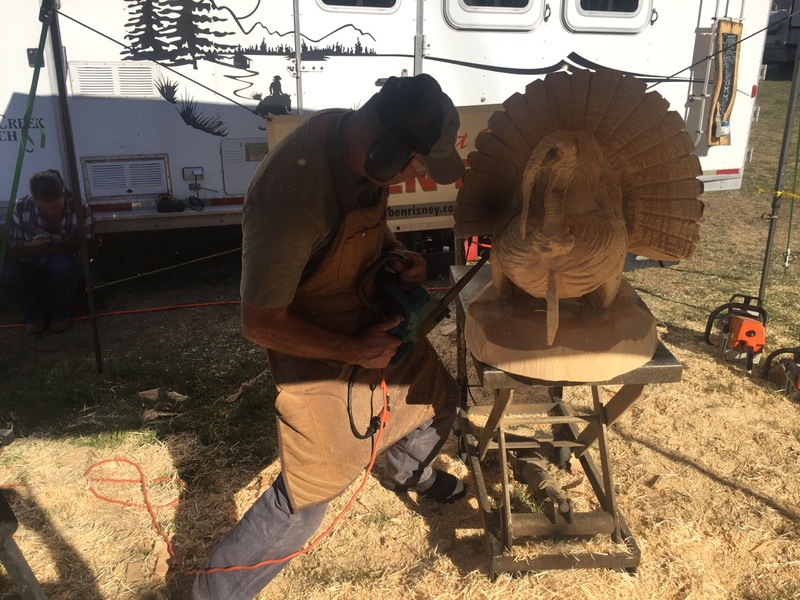 The primary benefit of using a saw with such high RPMs is that the cuts are so smooth, he rarely needs to sand the sculptures once they’re completed! You can see Ben in action and more of his handiwork HERE. It was at that moment I realized they were talking about a piece of fried dough that lay on the ground; perfectly elliptical, not one bite had been taken out of it. I shed a tear, as well. Saw blades are high-tech pieces of equipment. 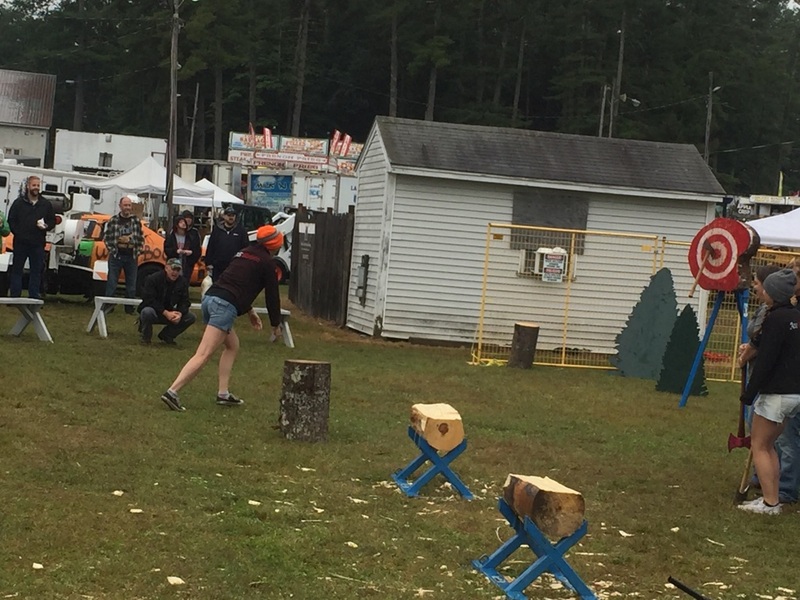 One of the many attractions at the fair this year were the Axe Women: Loggers of Maine, featuring championship women loggers competing in axe throwing, log rolling, cross-cut sawing, and a number of other events. I learned that their crosscut saw (bottom photo) is made in New Zealand of a special metal alloy that is strong and smooth – but is extremely sensitive to moisture; in fact, if the blade is not kept properly oiled, under very humid conditions it will start rusting within 30 minutes. Deep-fried pickle chips are superior to deep-fried pickle spears. This is not a decision I came to haphazardly; I spent a number of years researching the merits of each. You’re welcome. 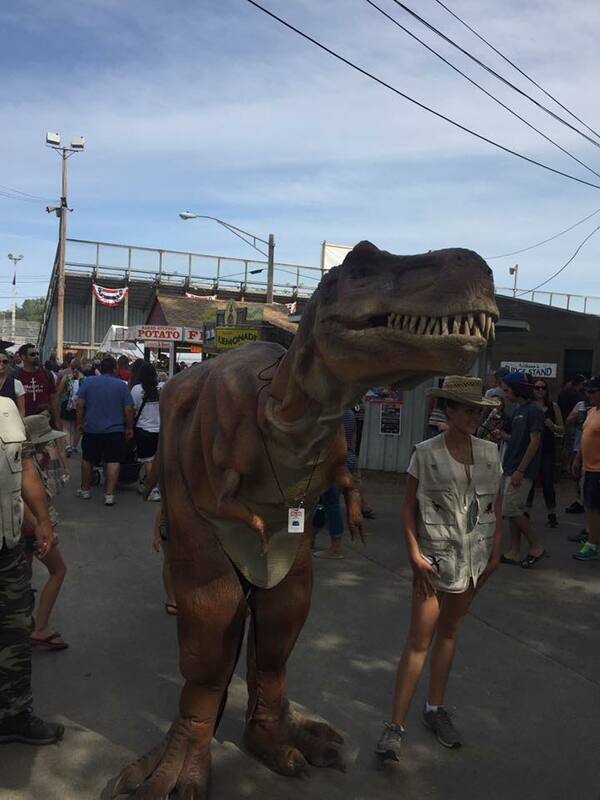 Dinosaur costumes are a lot heavier than they look. Really high-quality costumes, I should say. 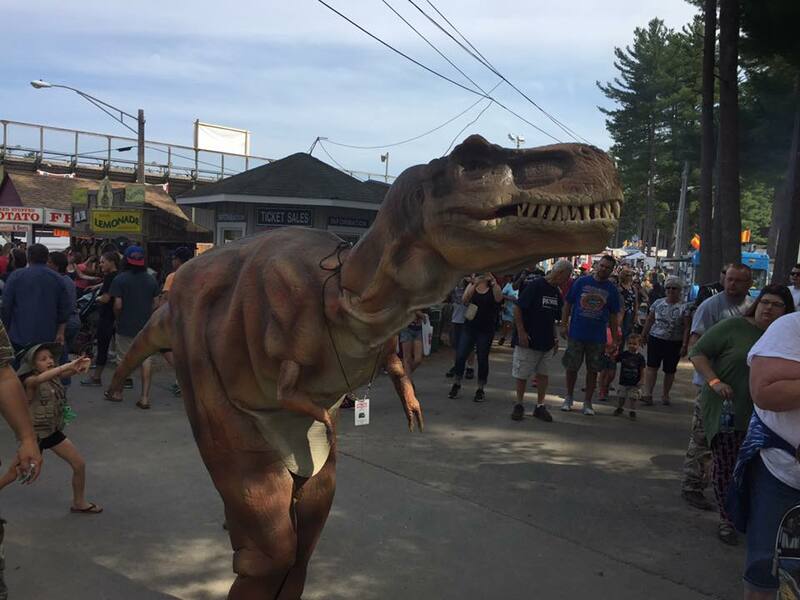 I had an opportunity to chat with John and Chance Bloom and their family, who run (among other things) a business called Dinosaur Xperience – which brings a walking, talking T-Rex right to your event. Yes, even dinos need ID. electronically-controlled motion and sound. She can tolerate about 30-40 minutes inside the outfit before she needs to get indoors to cool off and re-hydrate…so thank goodness her husband and their 4 kids are all part of the act, helping her! Well, I hope you enjoyed this little review. 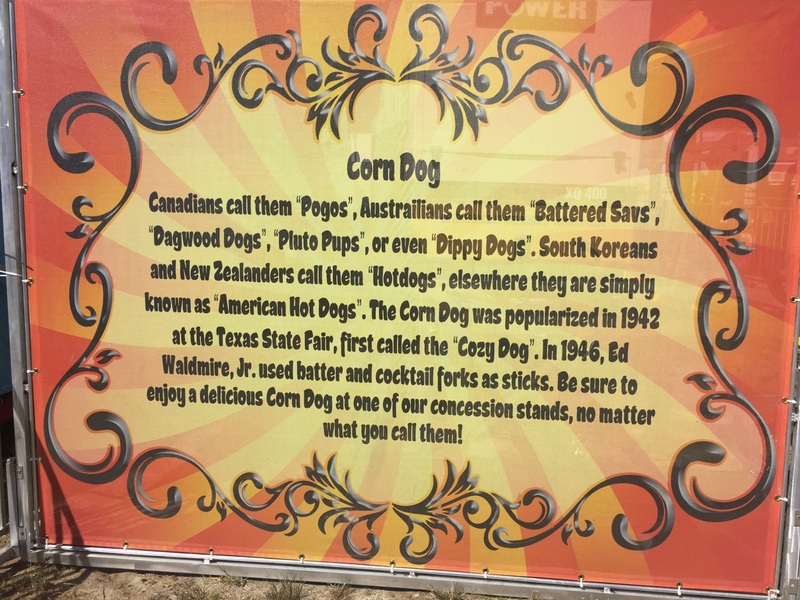 It’s amazing the things one can learn at the fair – and spending so much time at this one allows me ample opportunity to discover things I might never notice otherwise. And for writers, learning and observing is crucial! 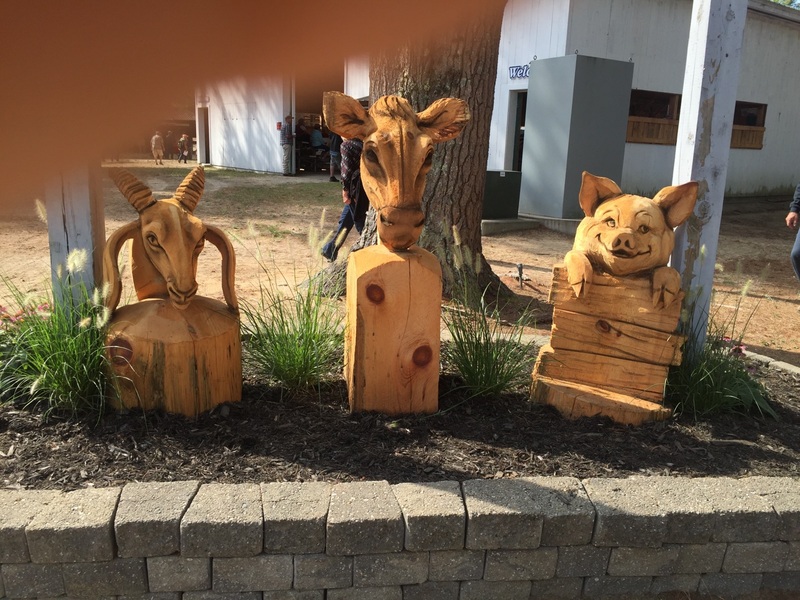 Some examples of Ben Risney’s work, which were featured around the fairgrounds. National Poetry Month: “Young Adult Review Network” Poetry Contest Results! One of the winners of a national poetry contest??? 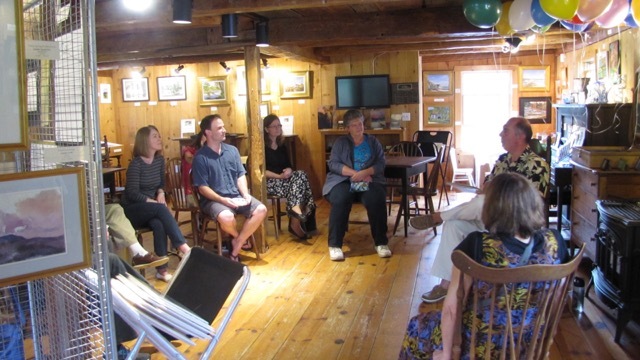 It began on World Poetry Day, March 21…the good folks at the Young Adult Review Network (YARN) began accepting submissions for a poetry contest they called “Enchanted Spaces and Places,” using the hashtag #EnchantedYARN. The poems were all judged by Margarita herself, who I have to imagine must have been worn out from entries pouring in from all over the world! Entries were judged blind (that is, names were not attached to the poems while judging), so Margarita had no idea who had written the poems while she was reading them. You can read YARN’s complete post HERE, along with all three winning poems. I hope you’ll check them out, because I’m very honored to be in such good company with these two other poets! Many thanks to Margarita for all her hard work, and to everyone who entered the contest – because ultimately, the important thing isn’t winning, so much as it is the writing. Remember what I always say, #WriteLikeNoOneIsReading! Although in cases like this, it’s nice when they DO read! 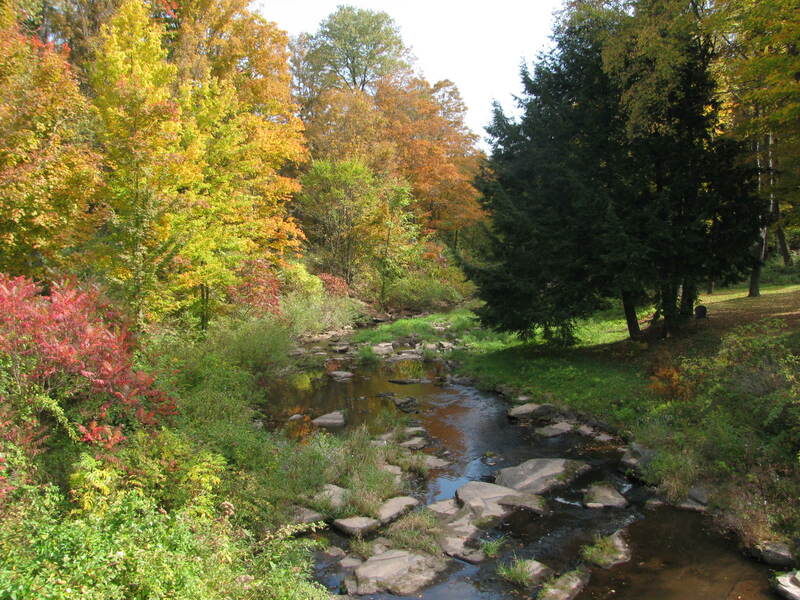 Don’t forget: Irene Latham’s 2016 Progressive Poem continues today as poet/blogger Renee M. LaTulippe adds her contribution, so be sure to stop by the No Water River and see how it’s coming along! This blog features the writings and ramblings of children's writer and voiceover talent Matt Forrest Esenwine. If you'd like to learn more about how Matt makes a living in the more-or-less-real world, click his face! He won't mind. By the way, all content is © Matt Forrest Esenwine. All rights reserved; reproduction is not permitted without approval. Poetry Friday: Excitement for two upcoming poetry anthologies! The 2019 Kidlitosphere Progressive Poem begins!